Gregory DeLozier, right, with kids Christopher and Rebecca. He says in the last six months, he has paid over $15,000 in car expenses for his kids and their spouses. In a township outside Akron, Ohio, where Gregory DeLozier and his wife raised five children, there are few sidewalks and sparse public transportation. Getting their children behind the wheel of a car wasn't optional. At the Bureau of Motor Vehicles, DeLozier once joked that he should apply for a dealer's license because of how many registrations he was renewing for his teenagers. "I got two insurance bills every month," he recalled. "Three cars on one, four cars on the other." Even with four of the five children out of the house, DeLozier, 59, is still doing business as the "dealership of dad." 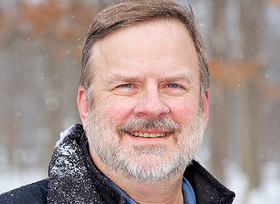 The software engineer and adjunct professorat Kent State University still shoulders four of his children's vehicle expenses. In the last six months, he estimates, he has paid more than $15,000 in vehicle expenses for the children and their spouses. "The only way he could get reasonable rates was to have me co-sign. This is about access to credit for him." Gregory DeLozier, on co-signing on Kia Soul for his adult son. DeLozier, a father of five, still shoulders four of his children's vehicle expenses. "We're like the circus net below everything that falls. That's how parenthood is in America right now," DeLozier said. "Your kids are on a high wire, they fall down, you pick them up and put them back up again. We paid for lots of repairs." 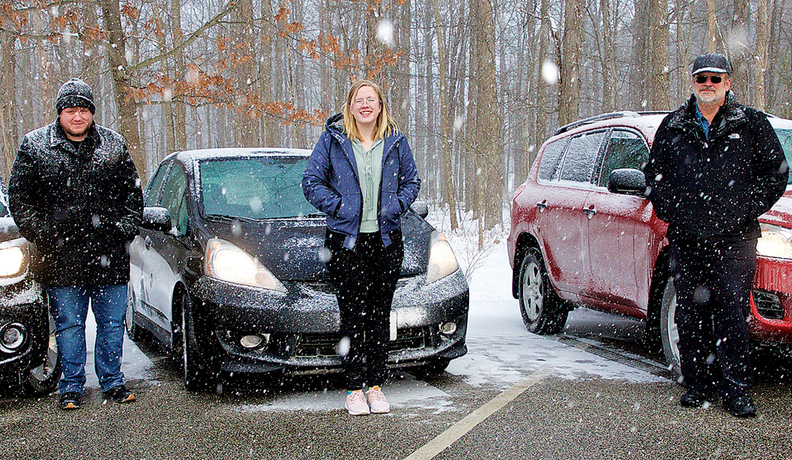 With prices rising for new and used vehicles, and student debt posing a mounting burden, more young adults are asking their parents for assistance with auto purchases, insurance costs and repairs. As their children's personal debt reaches unprecedented highs — TransUnion says millennials have a record $683 billion in student loans to worry about when figuring out how to afford a car payment — some parents are putting their own financial security on the line to keep their family on the road. There's little data available on how many parents shoulder vehicle expenses for their adult children. To determine who's driving what, automakers and other agencies garner demographic data that measures the number of households with children in them, but not the ages of those children. Parents may continue to pay for a vehicle after its driver leaves home or purchase vehicles in their names for a son or daughter to drive. "We live in a country where you have to have a car. Uber is not an affordable alternative. You can't get an Uber every day to your job," said Jonathan Banks, general manager of vehicle valuations at J.D. Power. "The majority of our population is still in a rural setting." Bill Lucy, 66, of Fort Wayne, Ind., gave a 2009 Toyota RAV4 to his youngest daughter in 2016 and still pays for its insurance. She didn't attend college, though, so he didn't need to help her with any student loan payments. 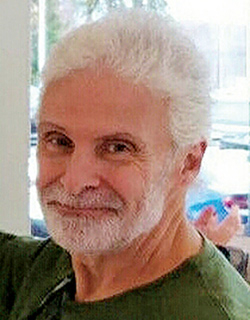 Mike Robertazzi, 63, of Toms River, N.J., purchased an Infiniti with his wife for their 25-year-old son. The son, who lives with them, previously owned a Chevrolet Corvette before being laid off. Robertazzi: Bought his 25-year-old an Infiniti but feels trapped by his son’s financial situation. "He didn't have any real income, and since he's going to school, we thought we'd do that for him," Robertazzi said. "Times are different. When I was young, I bought my first house when I was single." Captive finance companies, which experts say are the type of lenders most likely to do deals that include a co-signing or co-borrowing parent because they have access to automaker incentives, won't disclose how often these deals cross their desks. Dina Wilson, general manager and finance director of Timbrook Kia in Cumberland, Md., said the prevalence of parent-and-child customers at her store has increased. "I've seen a lot more of those than what there ever used to be," Wilson said. "As finance managers, we all need to be more aware of who our customer is in front of us." Vehicle purchases and student loans — whether for themselves or their children — are two of the biggest contributors to increasing debt for older Americans. People 60 and up had total debt of $615 billion in 2017, according to TransUnion, which is less than millennials owe on student loans alone. Americans 60 and older held 21 percent of total automotive balances in 2017, vs. 12 percent in 2010, TransUnion said. Auto loans now account for $246 billion, or 40 percent, of their total debt. For all Americans, fast-rising student loan debt is sapping income they could have used for other purposes, including a vehicle. More than a quarter of millennials with student loan debt have delayed buying a car because of it, according to a survey by Bankrate.com released in February, with the Midwest as the region most likely to cite loans holding back a vehicle purchase. Mark Hamrick, Bankrate's senior economic analyst, told Automotive News that many Americans are struggling with their finances even in a strong economy. "It's not unusual for many small towns in this country to have essentially not participated in the economic expansion in the past 10 years," Hamrick said. "It doesn't surprise me that the Midwest would be having some warning lights going off there." Student loan debt, which totaled $1.46 trillion in the fourth quarter for all ages, also is preventing younger Americans from purchasing homes, getting married and saving for retirement and emergencies, the Bankrate study found. Lacking a financial safety net for an unexpected expense also can compel a young car owner to turn to parents for help. Though he considers his children financially responsible, DeLozier said they have made some costly mistakes with their vehicles. A few years after he bought his daughter-in-law a used Toyota Camry, she called him from the road. "We call that DadStar 'cause they would call me and say, 'Dad, I'm on the freeway, and something's making a funny noise,' " DeLozier said. "She's a young professional, a biostatistician, but she's no car mechanic." His daughter-in-law had never gotten an oil change, he said, and the Camry's engine had thrown a rod. He knew she and her husband, his 28-year-old son, didn't have the money to replace it. A few years before, he had co-signed on a Kia Soul with his son after he had hit a deer, DeLozier said. Before the accident, his son was overpaying for his vehicle, a used Nissan Murano. "He paid like 50 percent more than what the Murano was worth, and at a ridiculously high interest rate. It was like $28,000 at 18 or 19 percent interest," he said. "The only way he could get reasonable rates was to have me co-sign. This is about access to credit for him." DeLozier had an idea for his daughter-in-law. He passed down his vehicle, a Honda Fit, to his 19-year-old daughter and replaced it through CarMax. Her car, another Camry, went to his daughter-in-law. "She's got a car now because I was able to afford a new car," he said. "That trickle-down effect gave two other people better rides." But not every parent can afford to help their children in the same way. The Consumer Financial Protection Bureau said in a December study that older Americans who provide financial support to children have lower financial well-being scores than those who don't. "There comes a point we have to say, 'We can't do this anymore.' The parents, in trying to do the best for their kids, do the worst for themselves," said Ray Walker, who works in sales and marketing and lives near Orlando. He pays for two daughters' vehicle expenses while chipping away at a $50,000 student loan for one daughter, which represents about half the debt incurred while she earned a music degree at Belmont University in Nashville. "We don't have retirement money right now because we've paid for student loans," Walker said. "People are sacrificing their own future." In New Jersey, Robertazzi and his wife are retired but feel trapped by their son's financial situation. He couldn't remember the last time they took a vacation. "Here, what I thought was going to be a phenomenal retirement and a phenomenal future wound up just being the opposite," he said. "Every little bit helps now, and every little bit that's going towards everything else — it hurts." 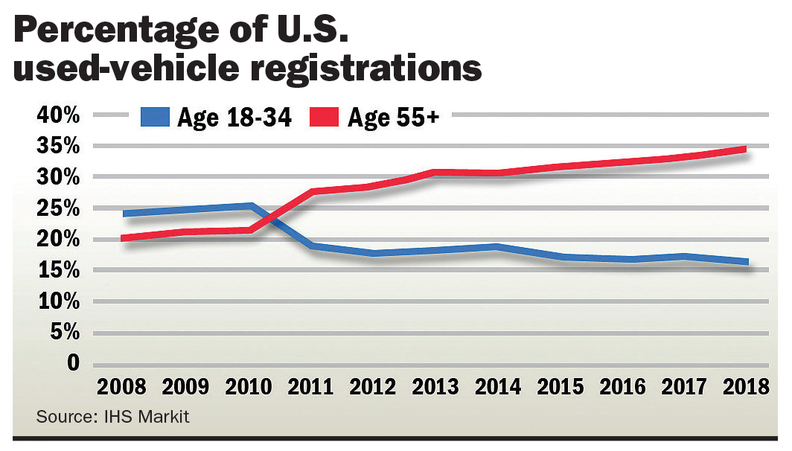 Affordability and growing debt are increasingly driving young people and their parents to the used-vehicle market. "Whether fresh out of college or becoming a first-time homebuyer, many young adults are just starting to plan their future and often look to their parents for financial assistance on big purchases," a spokeswoman for CarMax wrote in an email to Automotive News. "While young adults might be tempted to look at new cars, buying new isn't always the best choice." Average monthly payments for a new vehicle have risen to $533 in the last five years, according to transaction data from Cox Automotive company Dealertrack, up roughly $40 a month for a loan and $70 a month for a lease. Part of the reason is that vehicle transaction prices are rising as larger models loaded with more technology fill the marketplace. But smaller, more affordable alternatives also are vanishing in the new-vehicle market. The number of new vehicles sold for less than $20,000 dropped nearly 20 percent last year, according to J.D. Power data, while sales of vehicles over $40,000 rose 7.4 percent. Meanwhile, the average income of car buyers in Generation Z — defined as those born from 1995 to 2004 — hovered around $20,000 a year in 2017, according to J.D. Power. The company cited census data for 2017 that shows the median income ranged from $17,700 for 18-year-olds to $24,000 for 22-year-olds. Though not all of them are old enough to drive, Generation Z makes up 14 percent of the U.S. population and bought used vehicles 63 percent of the time, J.D. Power says. Millennials — born 1977 to 1994 — also make up 14 percent of the population and purchased used vehicles 51 percent of the time. Their median salaries in 2017 ranged from $26,100 for the youngest to $50,000 for the oldest, J.D. Power said, citing the census figures. Parents and children alike are seeking attractively priced vehicles with a history of dependability, J.D. Power's Banks said. "They seem to have that same mentality," Banks said. "Regardless of how you look at it, pragmatic parents or pragmatic young adults, they're opting for the value alternative." Of 2,100 consumers surveyed for Cox's "Evolution of Mobility Study," Generation Z and millennial participants said owning or leasing a vehicle was too expensive much more than older respondents. The number who agreed with that statement has risen 9 percent since 2015 for Generation Z and 10 percent for millennials. "They are far more likely to tell us that owning a vehicle has just become too expensive," said Isabelle Helms, vice president of research and market intelligence at Cox Automotive. "We know their financial situations. We know they are plagued with debt." Many adults don't want to have to co-sign with their parents, according to Jenn Reid, vice president of automotive marketing and strategy at Equifax. If the dealership offers those customers a different scenario, especially for someone who hasn't had a vehicle before, it can dramatically change the outcome. Reid says in a market saturated with certified pre-owned and first-time buyer programs, consumer education and underwriting standards enhanced with technology can go a long way in helping these customers become financially independent with their vehicles. "I'm a firm believer that there is literally a lending program for everybody," Reid said. "It's about putting the consumer in the right vehicle, with the right terms, and setting them up for success." Still, parents such as DeLozier who have paid for countless repairs, replacements and vehicles outright don't feel the options are as efficient as stepping in themselves. "No one has a gun to our heads," he said. "I can tell my daughter, 'You have to make a two-hour bus commute into Cleveland every day to go work at the hospital.' I suppose I could tell her that. "You want your children to succeed, so you basically say, what am I capable of doing for them?"